Stems and leaves are hand carved into white porcelain while round berries are pierced into the clay providing points of light and darkness in the white. 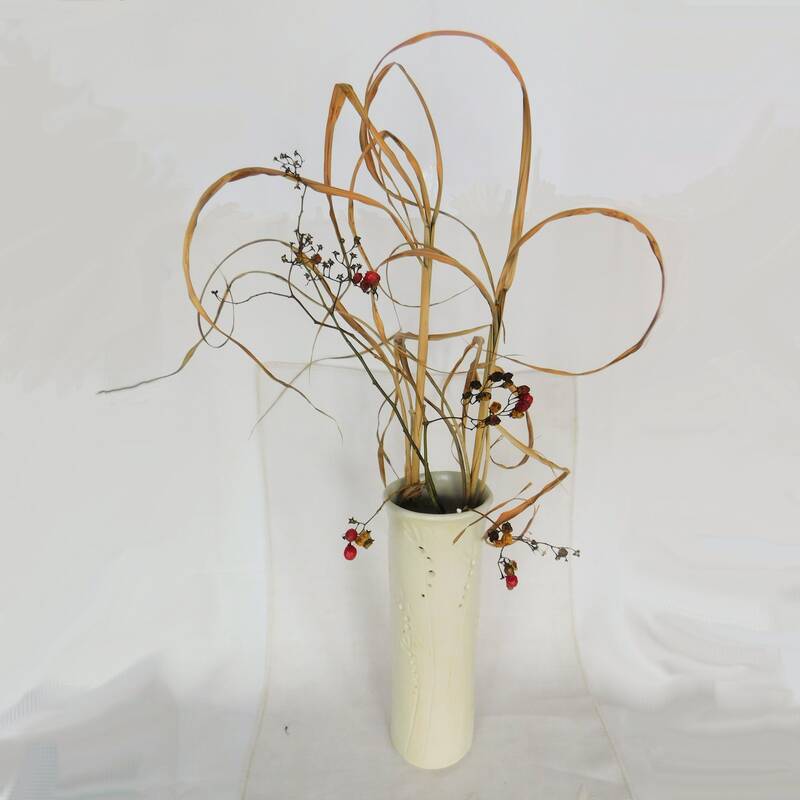 A winter arrangement of dried grasses and red berries graces the vace in other images. 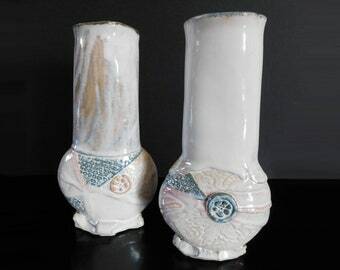 However, this vase will work with any set of colors or arrangements because of how neutral it is.